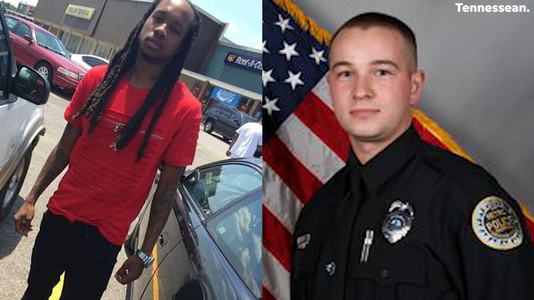 Nashville officer Andrew Delke was charged with criminal homicide for fatally shooting Daniel Hambrick, 25, in the back as he ran from the officer. Delke’s attorney says he plans to plead not guilty in the case. In late July, Delke was in the area looking for stolen vehicles and became suspicious of an Impala who he says “conceded the right of way by not pulling out in front of him.” After running the plates on the car and determining it wasn’t stolen, Delke continued to follow the car to develop a reason to stop it. When Delke parked his car in a nearby apartment complex, he says that’s when he saw Hambrick running away. Video footage shows Delke chasing Hambrick and in a matter of seconds, the man falls to the ground after being shot. Delke claims that Hambrick was holding a gun, which he told him to drop, and when he didn’t, the officer shot four times, hitting Hambrick in the head, back, and left torso. Authorities recovered a gun from the scene. Delke turned himself in on Thursday (September 27) and he was released on $25,000 bail. 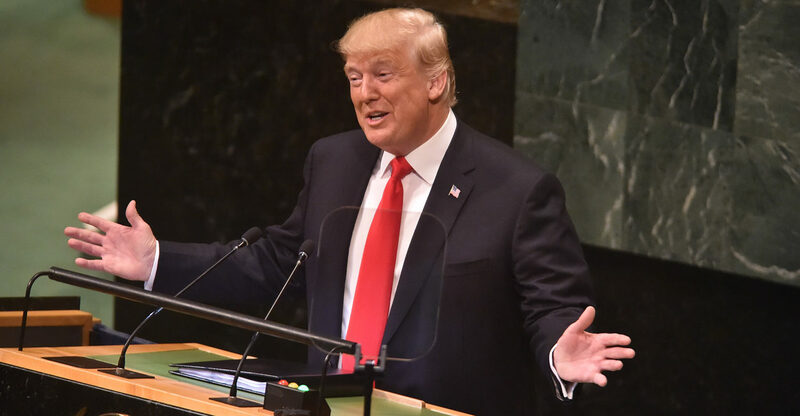 Donald Trump garnered some unexpected laughs after telling the UN General Assembly on Tuesday (September 25) about the “extraordinary progress” of his administration in a speech. There seems to be a bit of a disconnect between Nike’s branding and the sporting good giant’s political leanings. While Nike has caught heat from right-leaning supporters for its decision to feature Colin Kaepernick in the company’s latest ad campaign, a new report from the Center for Responsive Politics — a non-profit, non-partisan research group focusing on money in politics — shows that Nike employees and its political action committee have donated more than three times as much money to republican candidates as democratic challengers for the 2018 election season. In all, Nike has given $424,000 to the GOP compared to $122,000 to Democrats. The findings follow a recent trend showing Nike has donated more to Republicans than Democrats in every election cycle since 2010 with the exception of 2016. 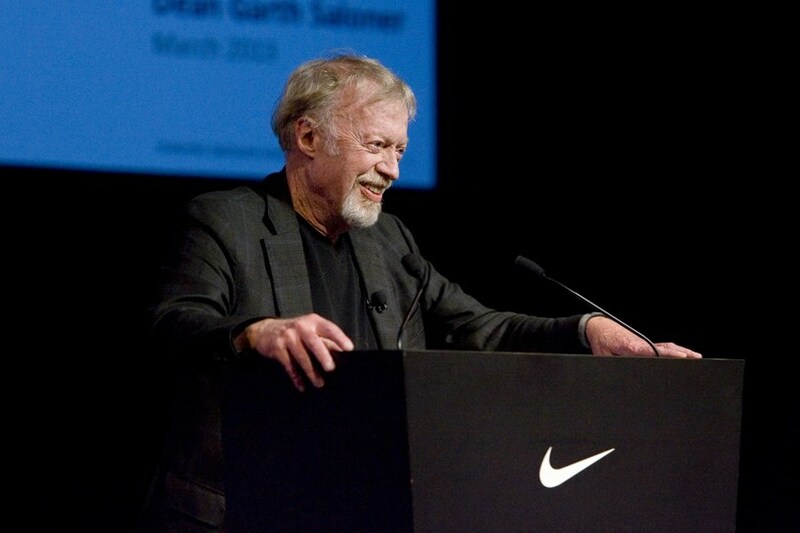 According to the report, nearly half of all donated funds from Nike employees has come from co-founder Phil Knight and his family. The Knight family has also given $1.5 million to republican Knute Buehler in his race for Oregon governor against incumbent democrat Kate Brown. The contribution is the largest individual donation to an Oregon candidate since the state started electronically tracking such dealings in 2006. 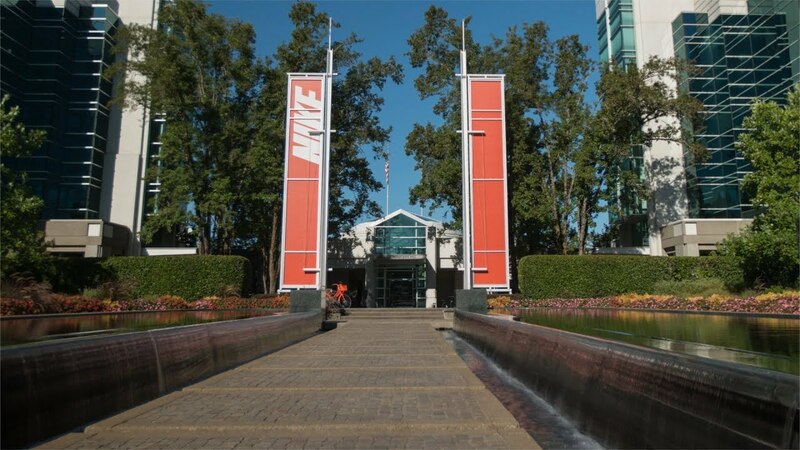 Nike World Headquarters are located Beaverton, Oregon. Among Buehler’s platforms are lower corporate taxes and repealing Oregon’s sanctuary state laws for undocumented immigrants. Compared to its rival companies, Nike has donated far more to politicians than it’s competitors. Both Nike and New Balance have each given more than $1.2 million to Republican candidates since 2010, however Nike has also donated more than $900,000 to Democrats over that same time span. By comparison, Adidas and Under Armour have donated less than $600,000 combined to both parties since 2010. 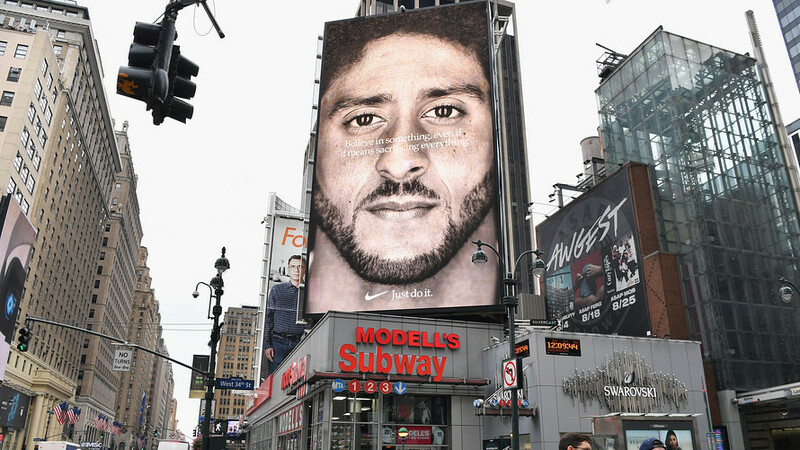 Whatever blowback Nike received following the unveiling on the ad campaign with Kaepernick, it hasn’t done nearly anything to slow down the company’s growth. Nike’s stock recently hit an all-time high and has gone up nearly five percent since the Kaepernick ads launched in early September. That translates to an additional $6 billion in market value, per CBS News. On the year, Nike is up 36 percent and is performing better than any other company listed on Dow’s index of 30 blue-chip stocks. Kaepernick is currently signed on a long-term deal with Nike that pays him millions each year and is on par with contracts for other star NFL players. 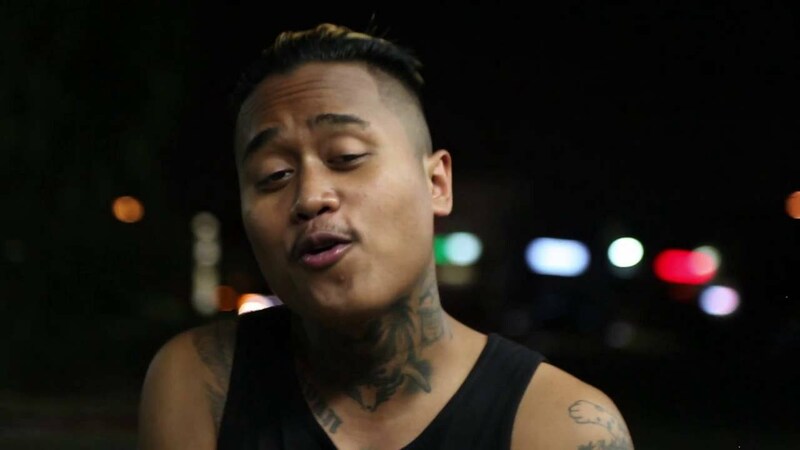 Long Beach rapper Mario C admits that his online trolling may have gone too far, as he’s now facing years in prison for threatening Long Beach Mayor Robert Garcia. 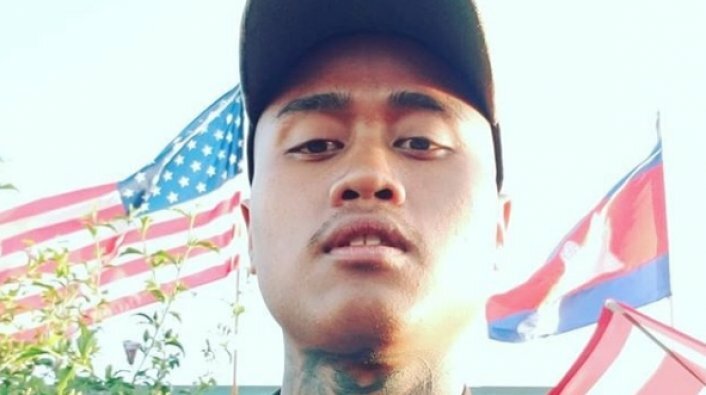 Chheng was released on $50,000 bond after being charged with charged with one felony count of threatening a public official, which faces up to three years in prison. 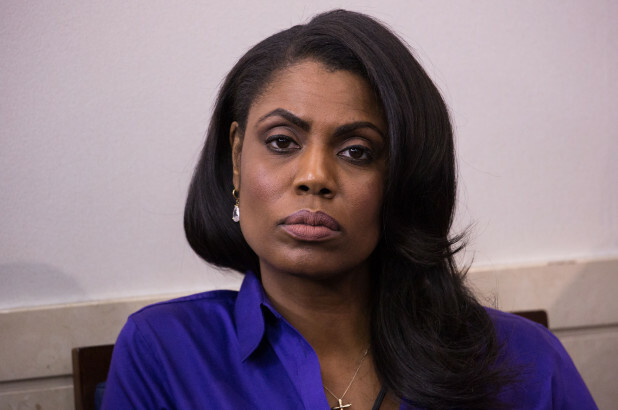 The question Friday morning wasn’t whether President Trump would tweet about the debut of Colin Kaepernick’s Nike commercial but whether it would be the first thing he would tweet about after waking up. And there it was, first thing on the presidential docket at 6:56 a.m.
“What was Nike thinking?” Trump tweeted rather briefly and directly. But if you actually watched the commercial that aired on NBC during the third quarter of season-opening games between the Falcons and Eagles, it’s pretty obvious what Nike is thinking – and it’s not whether to take a knee during the national anthem. All you need to know about Nike’s ultimate goal with the Kaepernick campaign is contained in the ad’s first minute. It begins with a skateboarder falling off a rail, a child with no legs on a wrestling mat, an African-American boy who couldn’t be 10 years old running down a dirt road, a young shadowboxing woman wearing hijab, a surfer, a Pop Warner football game and a blond girl playing high school football against boys. This isn’t about consumers Nike might lose in their anger over Kaepernick. It’s about cultivating an entire generation of consumers who are up for grabs at a moment where the lines between culture, politics and activism are blurry – a notion that might make older people uncomfortable but is now the coming-of-age reality for anyone under 18. Ironically, if you take Kaepernick out of the ad, there is nothing controversial about the images and words contained inside of it. 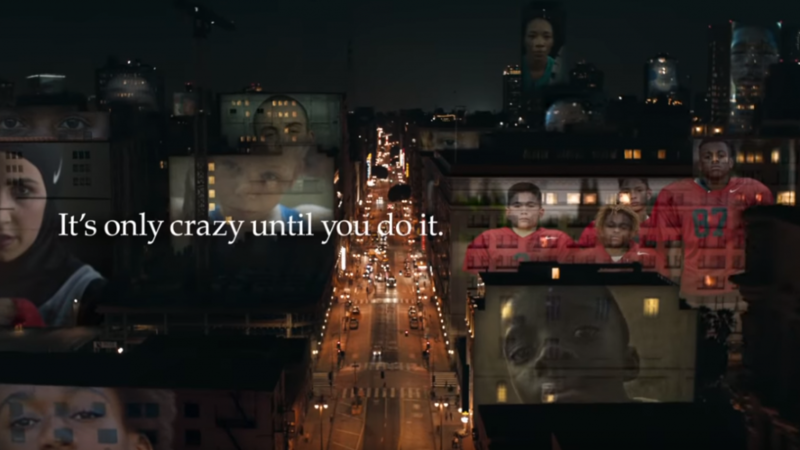 “Don’t ask if your dreams are crazy; ask if they’re crazy enough” seems like it could be a tag line to practically any Nike ad campaign, a direct link to the “Just Do it” slogan the company is celebrating with a 30th anniversary push. Every one of those images connects to the overall theme of being different, of overcoming some type of obstacle or stereotype, which fits in well with why Kaepernick is here in the first place rather than playing quarterback in the NFL. But it also seems designed to appeal to teenagers, without making it necessary to align with Kaepernick’s political and social justice views. 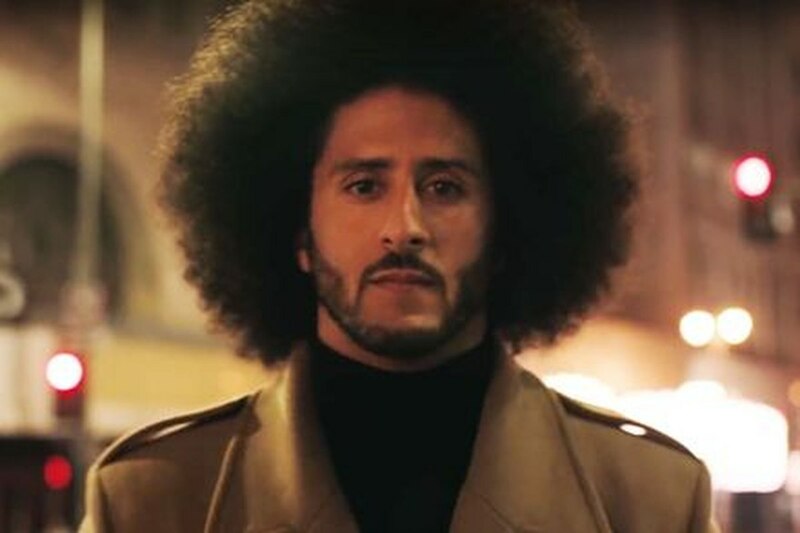 Yes, it’s Kaepernick’s voice and his image at the end, walking down a city street wearing a black mock turtleneck underneath a tan coat. But there is nothing in the ad that connects him to football or the NFL, even though his own backstory – being adopted by white parents, getting one college scholarship offer from Nevada and ultimately quarterbacking a team to the Super Bowl – contains some of the same inspirational threads as the people he’s narrating over. Moreover, the commercial’s only allusion to the protest he sparked is subtle. As the camera brings Kaepernick into view from behind – you recognize him by his Afro – he’s standing and looking at a waving American flag being projected onto a building. Casting Kaepernick in this light is interesting because he’s the only person in the ad who isn’t shown playing a sport or wearing some type of Nike gear. That seems intentional, as if to acknowledge that he’s moved beyond the sports context and into the zeitgeist of these political and cultural times. And when you think about what Nike’s actually trying to accomplish here, it makes perfect sense. Though Nike has been the country’s preeminent sneaker and sports apparel company for a generation, Adidas has steadily been making headway, particularly with younger people. In the second quarter of 2018, Adidas posted a $485 million profit, shattering Wall Street expectations. That followed nine consecutive quarters in which the company’s sales increased by at least 20%. Fueled by its alliance with pop culture stars such as Kanye West and Pharrell Williams, Adidas has made up significant ground and surpassed Jordan Brand (a Nike subsidiary) last year as No. 2 in the sneaker game. 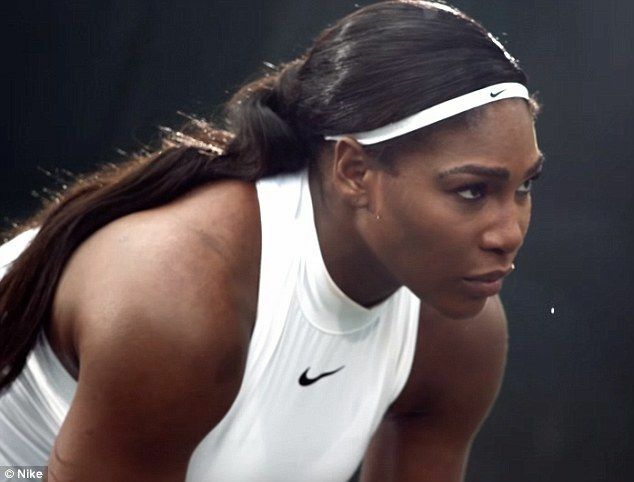 Nike didn’t really have a comparable face, and many of its preeminent athletes they’ve been associated with outside the NBA (such as Tiger Woods, Roger Federer, Serena Williams) are at the back end of their careers and don’t necessarily identify with teenagers. But that’s what shoe companies have to do: Figure out not just who their customers are now, but who their customers are going to be in five years, 10 years and beyond. That’s who this is aimed at. We’re on the cusp of welcoming a generation of kids into adulthood who grew up with politics being injected into practically every area of their lives. Whether that’s a good thing will be for others to determine, but it’s a moment that’s happening and Nike is looking for a way to capitalize on it. Kaepernick probably won’t sell a lot of shoes to my contemporaries. 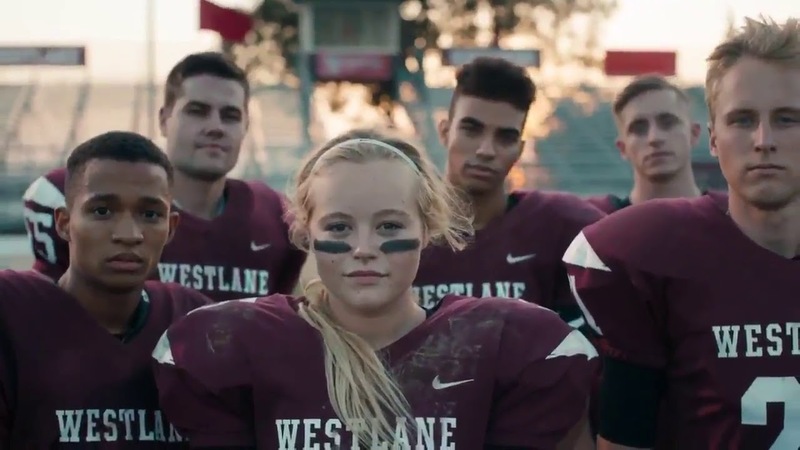 But would the ad that played Thursday night resonate with high school kids who are growing up in a confusing, polarized, politically active era? Nike is counting on it. 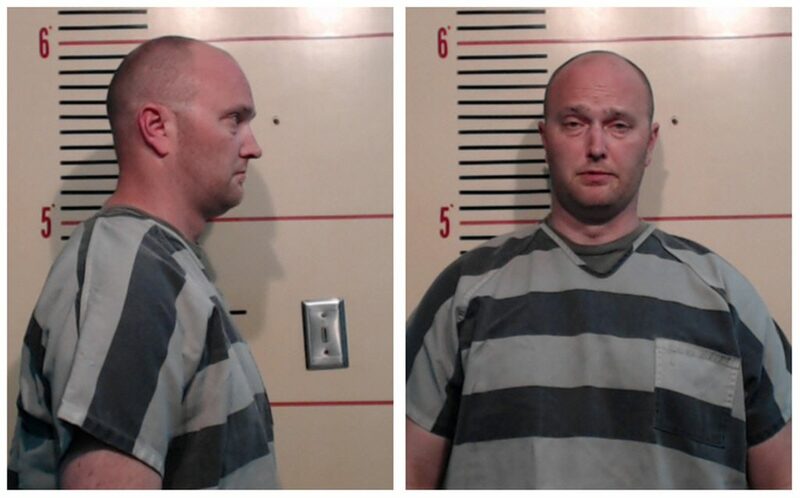 A former police officer in Texas has been found guilty of murder in the high-profile shooting death of 15-year-old Jordan Edwards — a rare victory for civil rights activists seeking justice for the dozens of unarmed African American men and boys who have been killed by police officers in recent years. As Judge Brandon Birmingham read the verdict Tuesday against Roy Oliver, who worked in the Dallas suburb of Balch Springs, sobs came from the gallery of the packed courtroom. 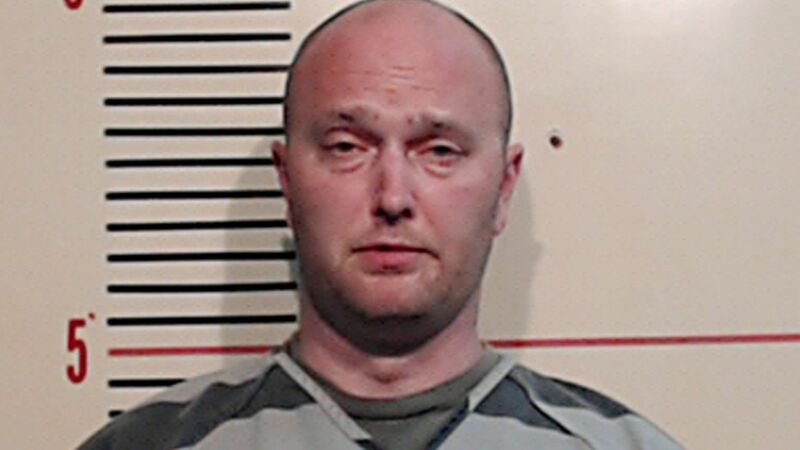 The last time an on-duty police officer in Dallas County was convicted of murder was in 1973. Oliver could be sentenced to life in prison. Daryl Washington, an attorney representing the family, said the verdict meant more than justice for Jordan. On the night of April 29, 2017, Oliver fired an MC5 rifle into a Chevrolet Impala carrying Jordan and two of his brothers as it pulled away from a high school house party. Jordan, who was struck in the head, died later at a hospital. Police initially said the vehicle had backed up toward Oliver “in an aggressive manner,” but body camera video showed the car was moving away from him and his partner. Days after the shooting, Oliver, who had served in the department for six years, was fired. Jordan’s stepbrother, Vidal Allen, was driving the car the night of the shooting. Oliver, 38, has said he feared for his life and his partner’s safety. After a weeklong trial, it took the jury one day to reach a verdict. Jordan’s death echoes other police shootings involving black boys and men. But no convictions were handed down in most of those cases. In November 2014, Cleveland police got a 911 call about someone brandishing a pistol near a park — the weapon, the caller said, was “probably fake.” But in an incident captured on camera, a police cruiser pulled into the park and Officer Timothy Loehmann jumped out and opened fire. 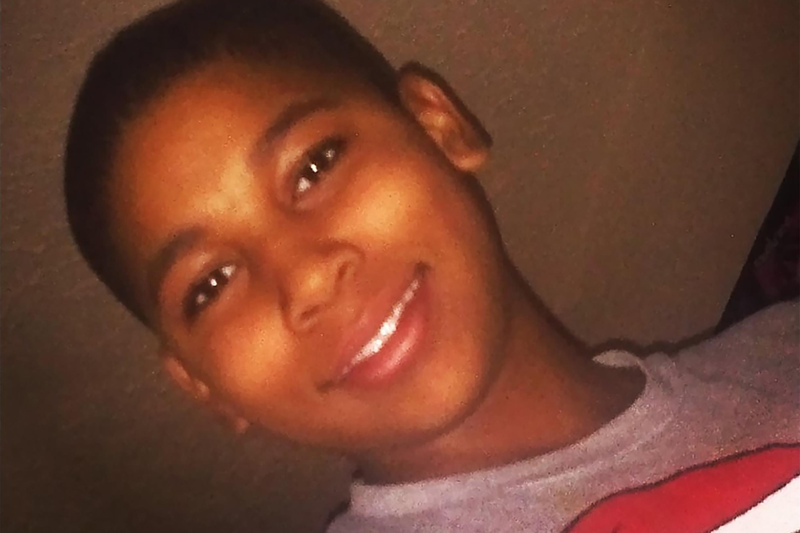 Within seconds, 12-year-old Tamir Rice, who had a toy gun, was dead. Even before Tamir’s death, the U.S. Department of Justice had been investigating the Cleveland Police Department. A month after his shooting, it released a report saying Cleveland police displayed a pattern of using unnecessary force. A year later, a grand jury decided not to indict Loehmann in Tamir’s death, saying he had reason to fear for his life. In September 2016, in Columbus, Ohio, police shot and killed Tyre King, 13, who was carrying a BB gun while running from police. A grand jury declined to file criminal charges against the officer who killed him. And in May 2017, an Oklahoma jury acquitted an officer who shot and killed Terence Crutcher, 40, as he stood with his hands above his head along a rural highway. 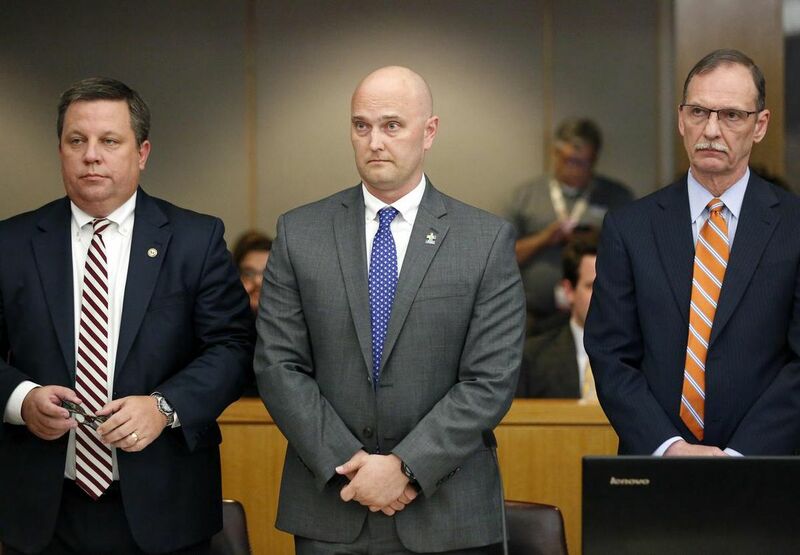 Those cases and others illustrate the difficulty of convicting police officers. The law in most places gives them the benefit of the doubt. Prosecutors usually must show that an officer knowingly and intentionally killed without justification or provocation. A fear of harm has been successfully used as the justification for many shootings, even when the victim turned out to be unarmed. The most recent case that ended in a conviction came last year when Michael Slager, a former officer in North Charleston, S.C., was first tried on murder charges in the April 2015 shooting of Walter Scott, an unarmed black man who was stopped for a driving with a broken taillight. But after those proceedings ended in a mistrial, Slager pleaded guilty to a civil rights violation and was sentenced to 20 years in prison. 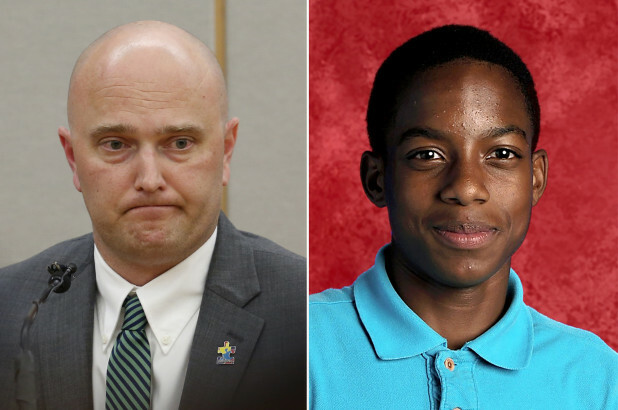 The last Dallas County police officer convicted for murder while on duty was Darrell Cain, who shot and killed 12-year-old Santos Rodriguez after forcing him to endure a version of Russian roulette while handcuffed inside a patrol car. There was no immediate reaction to Thursday’s verdict from local or national police groups. John Fullinwider, a longtime Dallas activist and co-founder of Mothers Against Police Brutality, said Oliver’s conviction came as a surprise. Lee Merritt, a civil rights attorney who represents the Edwards family, said the conviction was justice for the country.